Four years ago this week, my son had his first seizure. He doesn’t remember the time before. Most days, neither do I. Our memories are of our new life that started the night his body contorted and stiffened on the floor of the arcade. It was the night that time stopped as we prayed that our son would come back to us and when I held his frozen body in a thunderstorm waiting for the ambulance to arrive. Even though his second seizure wouldn’t be for nearly two months, the fear and uncertainty that the first one had caused lingered. It turned out that time was the quiet before the storm…that feeling you get when the clouds darken and the air changes and you know the storm is close. The air filled with the same electricity that would soon wreak havoc on my son’s developing brain. And then it happened. The second seizure burst free just as my son sat in his seat onboard an airplane. Another thirty minutes and the plane would have been in the air but, thankfully, the crew got him safely off the plane and on his way to the children’s hospital. Within a few months, his seizures would be out of control and we’d be back in the same hospital learning firsthand what status epilepticus was. It would take nearly two years before my son was stable. But even then, we were still adjusting medication, dealing with side effects and behavioral issues, and occasionally using his rescue medication. He was stable, but not living the life we had planned. But by then we were beginning to realize that we needed a new plan. Four years in, we’re still adjusting that plan. 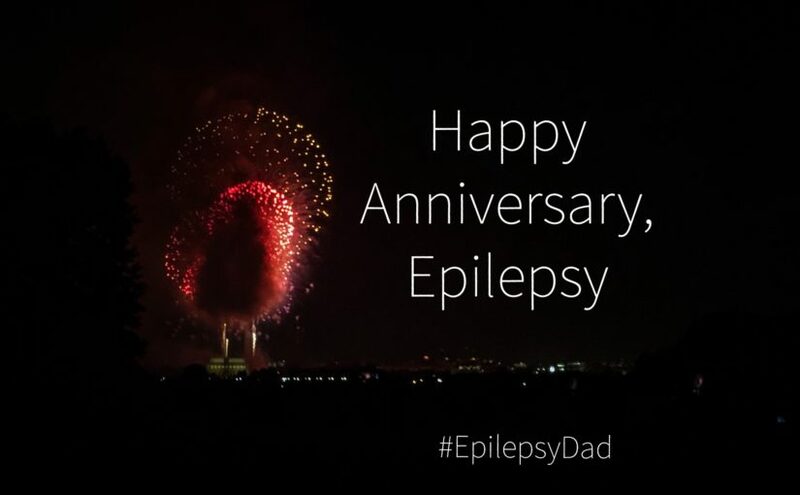 There hasn’t been a day that has not been affected by epilepsy. He’s had countless seizures. He’s been on and off medications and suffered endless side effects. He’s had a barrage of blood draws, EEGs, and other testing and had a myriad of therapies trying to restore what epilepsy had taken away. He’s been isolated from his peers and falling more behind in a world that doesn’t wait for people who can’t keep up, or are different, or need help. After four years, I thought we’d be further along. I hoped he would outgrow his seizures or we’d at least have them under control. I thought we would have figured it all out. I thought we’d be able to get back to normal. But, instead, we had to change our definition of “normal” and learn how to live life with different expectations. In these four years, I’ve learned a lot of other things, too. I think I am a better man, husband, and father than I was before this started. And we’ve had so many wonderful experiences and met some amazing people on our journey. But I can’t bring myself to be grateful. I can’t allow myself to acknowledge the things that are good because I don’t want to reward the monster that continues to attack my son. Our life is what it is in spite of epilepsy, not because of it. Four years is a long time. But I know we have many years to go. We didn’t ask for this, and we don’t want it. But it looks like we’re going to be together for a while. I didn’t get you anything.